You have the questions; we have the answers! Q. What’s this event all about, anyway? A. It’s simple – Leadership doesn’t have a user’s manual. We’ve brought together a stellar line up of leadership, communication, team building and parking expects to help you navigate your way to improving your leadership skills both professional and personally. Q. What meals are included in my registration? A. Registration for this event includes breakfast and lunch daily. Q. What is the dress code for this event? A. Don’t break out the suit and tie or evening gown. We want you to be comfortable so business causal is acceptable. Meeting rooms do tend to be cold, so you may want to bring a jacket or sweater. Q. What is the cancellation policy for this event? All registration cancellations and refund requests must be made in writing by September 20, 2019. A refund of 50% of your registration fees, will be given for cancellations received by that date. No refunds will be granted for requests postmarked after September 20, 2019. 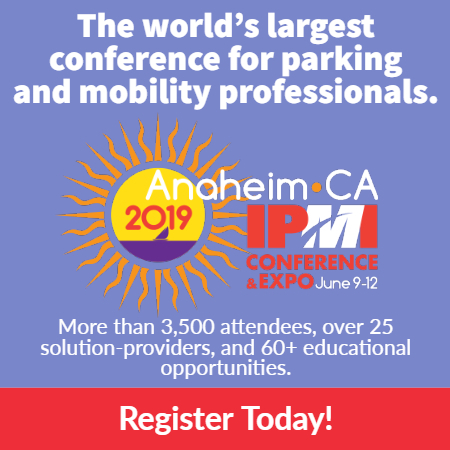 Submit all requests to IPMI Registration via email at events@parking-mobility.org. IPMI regrets that refunds will not be given for no-shows. Substitutions/Transfers are gladly accepted for full registrations. Only one substitution is permitted per original registrant. The individual submitting the substitution request is responsible for all financial obligations (any balance due) associated with that substitution. Q. My question isn’t on here, who can I contact?